This is a wonderful gift to show your support. 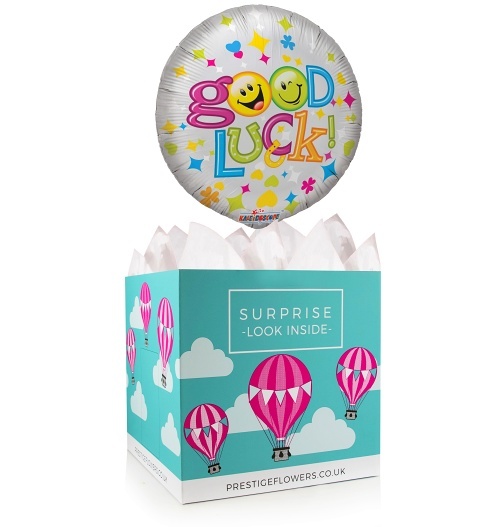 We have chosen a beautiful 18 inch Good Luck helium balloon as well as a gift box lined with tissue paper. You can choose from any of our optional extras such as chocolates, cake, wine, and a cuddly bear. We also welcome you to include a special message to make this gift that much more personal.